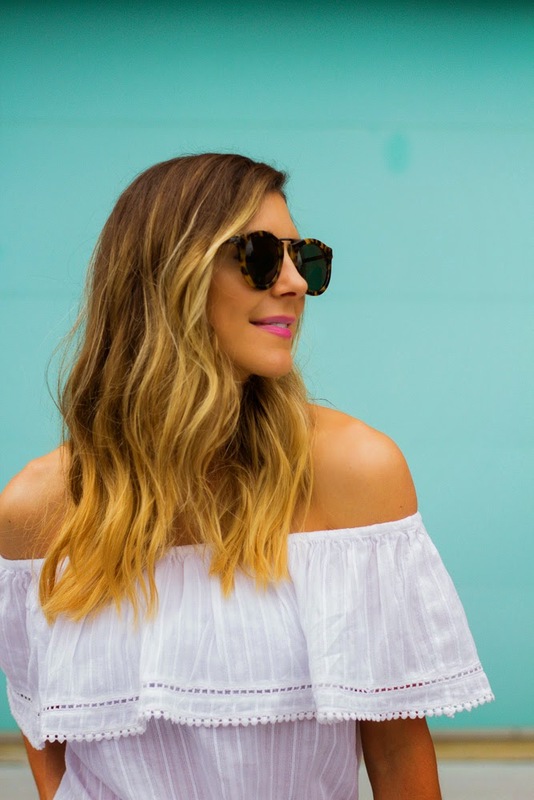 In love with this off-the-shoulder embroidered white top. It is so pretty and you can practically pair it with any bottom. My favorite is white cropped denim. It also looks great with cut-off shorts and flare-leg jeans. As always, thanks so much for stopping by. Love you guys! Super cute off the shoulder tank! I need to get one!